Did you know that 200,000 people are born every day? That means we’ll be sharing our planet with 2 billion more people by the year 2050! 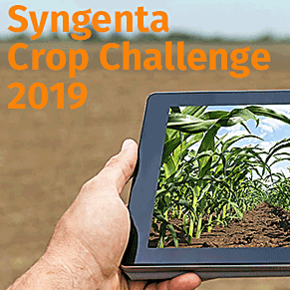 You might not think about how we’ll feed everyone, but at Syngenta, it’s all we think about. The challenges are real; we’re stressing our planet’s natural resources, like land and water, 50 percent faster than it can sustain. At the same time, the crops that farmers grow face an unprecedented set of obstacles due to increasingly volatile growing conditions and climate change. How will we be able to grow enough food to meet world demand? We need your help to find a solution!